Tonight the City of Elk Grove will hold a workshop to gather public input on a proposed city-run animal shelter. At the workshop participants can provide feedback on how animal shelter services should operate in the city, and receive information on Elk Grove’s operational and facility options, industry best practices, as well as the outcome of preliminary project data collection. The meeting is being held in conjunction with the city’s consultants, Indigo I Hammond + Playle Architects, LLP, who are conducting a needs assessment study and the U.C. Davis School of Veterinary Medicine. The meeting will start at 6 p.m. at the Elk Grove City Hall in the Council Chambers located at 8400 Laguna Palms Way in Elk Grove. The city currently contracts with Sacramento County for animal sheltering services, pet adoptions and licensing at 3839 Bradshaw Road in Sacramento. For more information about the meeting, contact Kara Reddig, Deputy City Manager, at kreddig@elkgrovecity.org or 478-2249. 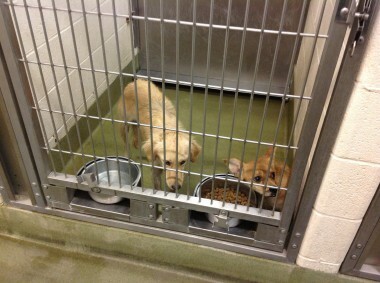 For more information about Elk Grove’s animal control department, visit www.elkgrovecity.org/animals. And where is the money going to come up to pay for this? We have already "drained" the drainage fund of six million for land for the soccer stadium? Just add this Feasibility Study to the stack. These studies will so old when or if we ever have the money to complete them they will all have to be redone. Do you not realize that had we focused on the Sports Fields instead of a new idea every month or so, the kids would be playing on them now and we would be enjoying the income from them. Maybe enough that we could have even completed one of our other community needs. But NO, our city council wakes up in a new world every day and never completes anything. It's like they're trying to be everything to everybody and it just never works that way so we end up with NOTHING! Sooo, wonder what our next biggie will be this week? Wonder is this will ever get built or just another waste of money on consultants? I am very supportive of an animal shelter here in Elk Grove. It really is the kind of project which a community our size needs. I am an animal person, admittedly, and I talk to dog owners every day. There are so many dog owners in Elk Grove (cat owners, too, I am sure, but I don't talk to them). The very large number of dogs out and about being walked are rescue dogs. I have a dog, too, and he has been 'lost', briefly, thank heaven, but I would like a shelter in our town, both for giving a dog temporary shelter and also 'fostering' an animal until a new owner can be found. It always seems to me that the owners of rescue dogs love them especially much, and, I swear, that the dogs know they have been rescued. It is a special bond. I fervently hope this project comes to fruition. It certainly is worth it! This is a project with heart, unselfish and altruistic. It is a good thing. I am a huge animal lover, so I am biased here. On our two acres, we have five dogs, four cats, chickens that migrate back and forth across the street to the neighbors who also have chickens and have formed a family. Not to mention the wild turkeys that made sure we didn't have any figs this year and the duck family that swims in our pool. That is a lot of money that could have gone towards an animal shelter; and oh yes, our youth sports complex. Now that we know we are not in the running for an MLS team, like we ever were, the newly acquired land would be a perfect location for this project. Our 100 acres will no doubt be the excuse to build more homes into the floodplain and/or extend our city borders. This was a sham all along...now, back to the Animal Shelter...we need to know more about funding, revenue, costs, etc before any decision is made. I don't believe animal shelters are self sufficient... they normally are a drain on budgets, correct? I remember Sac County having to cut hours and services and keeping animals a shorter time before killing them due to limited budget resources. So, let's get a handle on costs, revenue and income before we go much further. What ever happened to the concept of being a contract city? No disrespected intended, but it seems this whole animal shelter study was spurred on by a few well meaning pet lovers and a veterinarian who spoke at a council meeting several months ago. As I recall they were concerned about the high number of euthanized animals at the shelters. Please correct me if I am wrong. It is ironic, in the areas where contracting makes sense, like animal shelters provided by the SPCA and the county before that, the city is moving away from contracting. In the areas where it make sense to get rid of contractors, think PMC and Willdan, the city is unwilling to even have the discussion. What a failure of leadership on just about every level. The good captain makes a good points as usual. For example, E-tran is a vital service, but it costs us a lot of money. Vital services have already been cut because the city tells us E-tran is losing money. Was it a sound fiscally responsible decision to break away from Sacramento Regional Transit? And was the reason at the time altruistic or just the beginning of Elk Grove’s empire building by the Elk Grove City Council and staff at time? I think I read that the reason the SPCA didn’t renew our contract was because Elk Grove’s needs were more than they could handle which is why we went back to the County. Rick Johnson and his staff do a wonderful job but even they couldn’t handle Elk Grove's needs. Having said that, animal control services will be like E-tran, we will never make money. So the question is: Do we have money necessary now and into the future to sustain these services? I would venture to say that most of us are animal lovers, but we need to be realistic here. It would be a shame if we built the animal shelter but then didn’t have the money to run it properly. When Elk Grove decided to take on its own transit service, it made one of the most disastrous decisions in its history. MV has never run e-tran well, and services are cut and cut and cut. The greatest tragedy of this stupid move was that Elk Grove eradicated connectivity with the greater Sacramento region and became isolated. Elk Grove will never be a player in the region until it gets its transit system expanded and connected, or better yet, lets RT take it back. RT has been a bidder, but the council stupidly gives the contract to MV - goes to show that campaign contributions from MV work. Yes, transit operates at a loss - everywhere - it is always a public service which is subsidized. Without light rail, too, into our city, we will continue to be an isolated bedroom community. Keep in mind that highways and roads are all subsidized, too. When Elk Grove was new, they could have begun the process to acquire light rail and connect to the region, but no, they didn't want 'that element' here. Short-sighted. Prosperous and thriving cities have good transit systems. It is worth it. It is no mystery why MV keeps getting renewed. Just look at how much money they give to the city council members. Even a few years ago when Veolia was the low bidder, MV still got it. Ever wonder why? Veolia was not the low bid, In fact there bid was 1 million higher than MV. Anon 00:44; I stand corrected. Yes, MV was lower, but Veolia was found to be the better value by the 8 person panel that reviewed the bids. Does the name Jay Jeter mean anything? I'm not an animial lover yet see the need to possibly have a local shelter. We're no longer little Elk Grove from 30 years ago. It depends on how this pencils out. Can the county provide the same or similar service for less? If so I'd like the see the funds spent elsewhere. But if the city can do it well at a similar cost then it would be great to have a shelter in our city.